Summer Movies: Hulking Dark Man-Boy Knights of Incredible Iron | Kris Johnson's Blog…sort of. I think you forgot to add Fantastic Four: Rise of the Silver Surfer. @Nycteris – Hey, now, I liked both Fantastic Four movies. Unfortunately, neither of them ranks high enough on the scale to make the Top Ten List. I think I’d give them both a 6/10, with Rise of the Silver Surfer pushing a low 7/10. Nothing on the current list rated below a 7. Well ok, I suppose if I really wanted to go for a bad movie I could have dug deeper. Unfortunately I saw Rise of the Silver Surfer both on a flight to AZ and on the flight back – seeing it twice against my will made it worse. Though I quite liked the first FF movie. @Nycteris – I can tell you from experience that it’s not necessary to dig very deep to find a bad superhero movie. @patrick – One of my wife’s comments about Hellboy 2 was that the creatures looked like they could have come from Pan’s Labyrinth 2, but we both agreed that that was a Good Thing. Having now managed to see the Dark Knight, I’m afraid I must dispute your clearly erroneous declaration of Iron Man supremacy. And of course, you already know how mistaken you are about your relative ranking of Hellboy vs. Hellboy II. @Slowhand – Indeed, our opinions seem to differ in those (and many other) respects. I still stand by my statement, however: Iron Man is superior to The Dark Knight. The former managed to tell an origin story, introduced an excellent set of characters and had jaw-dropping action sequences, all without dragging on in the slightest. The Dark Knight, while it featured a truly remarkable performance by Heath Ledger, was a two and a half hour descent into darkness without even the promise of light near the end. The movie was essentially a 150-minute origin story for Two-Face as orchestrated by the Joker, which is all well and good, except that it simply refused to end. I felt every one of the last 40 minutes of The Dark Knight and raced to the exit so I could procure a prescription to Zoloft ASAP, whereas when Iron Man was over I wanted to stay in my seat and watch it all over again. Hmm. I didn’t find that it dragged at all, other than having to pee at one point. Perhaps you have a shorter attention span. 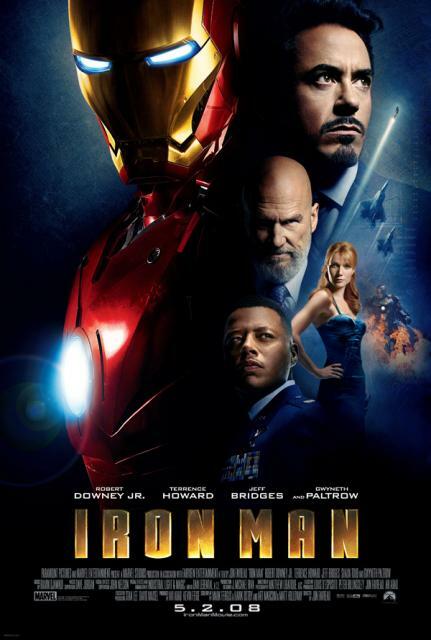 I just found that Iron Man consisted primarily of a great performance by Robert Downey Jr. The story was pretty weak. Certainly it was nowhere near as nuanced and sophisticated as the Dark Knight story. The only weakness I found in TDK was they’re replacing the original Rachel Dawes with what appears, to my eye, to be a chipmunk. It was dark. I’ll grant you that. Hence the title. But so was the comic. @Slowhand – As I said, I felt every one of the last 40 minutes of The Dark Knight; it was all I could do not to check the time on my cell phone. The movie just had no desire to end and I just wanted it to be over; we were somewhat at odds in that respect. I don’t know how “nuanced” or “sophisticated” the story was, either. I understand that it was dark (it’s right there in the title, isn’t it?) and that the whole idea was to break down Gotham’s white knight and bring truth to Harvey Dent’s prophetic statement: You either die the hero or live long enough to see yourself become the villain. There’s nothing terribly subtle about that, and “nuanced” implies a certain amount of subtlety to me. Make no mistake: I enjoyed The Dark Knight and found it a worth addition to the Batman legacy (if only because Aaron Eckhart so thoroughly made up for Tommy Lee Jones’ portrayal of Harvey Dent as perpetrated in the Schumacherverse); I just didn’t enjoy it as much as I did Iron man, which was quite simply the best kickoff to a superhero franchise I’ve ever seen. Oddly enough, Chris Miller, who is arguably a much more fervent Batman fan than I am (and with whom I saw The Dark Knight at a midnight showing) was very disappointed in the movie and told me he thought The Incredible Hulk was better. That shocked me, though I gave both The Dark Knight and The Incredible Hulk a 7/10 rating. Having now seen it for a second time, I stand my ground! I didn’t feel it dragged at all. In fact, having seen BB about 8 times this summer (well, not the whole thing thru 8 times), I think IT dragged worse that DK. And Heath Ledger’s performance is so remarkable, it elevates the entire movie singlehandedly to legendary status. @Slowhand — By all means, stand your ground. And I shall stand mine: the movie dragged. Ledger was good, I’ll grant you that, but I don’t know that a single performance is enough to elevate the movie to Legendary status.